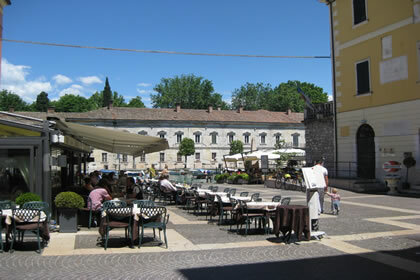 During Rome em pire, the city of Arilica was located exactly where today the old town of Peschiera del Garda, and in ninth-century the old name of the town has been changed to the current one. 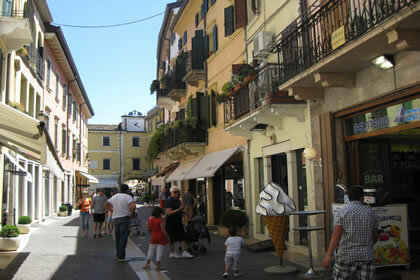 The defensive system, of the strongest in Italy, makes the appearance of the place special. 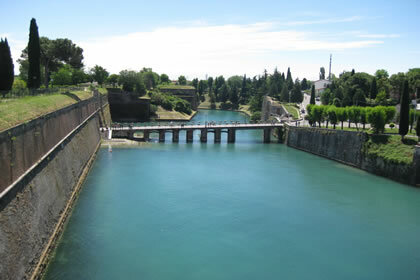 Innumerable fortifications have been made since medieval times and for over 600 years. 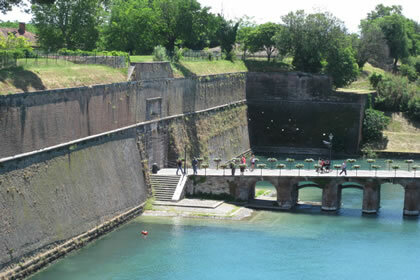 On five sides with the Rocca placed in the South, turreted walls have been built first to defend the houses. 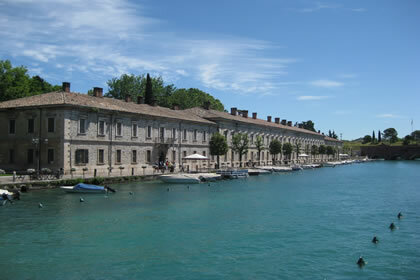 Under the rule of the Serenissima the fortress got the current pentagonal form and ramparts were raised on its tops. 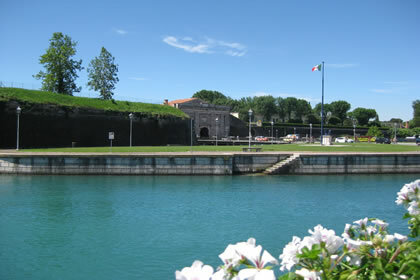 This old walls combine the two ancient islands that are crossed by the main branch of the Mincio river and are connected to each other by a massive fortified bridge. In nineteenth-century several Napoleonic and Austro-Hungarian forts were built on the surrounding countryside, in the most strategic locations. The Gulf of Peschiera (which its shape looks like a funnel) collects the waters of the lake, that get divided then into four branches and cross the center thcanoeing themselves into the river. 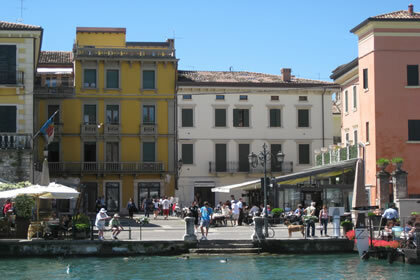 Buildings, squares and restaurants that you can find along the banks of these river channels remind Venice. 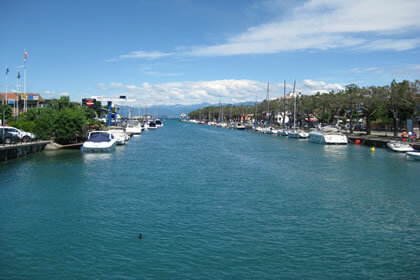 There are large and well-kept beaches and marinas along on the coast. 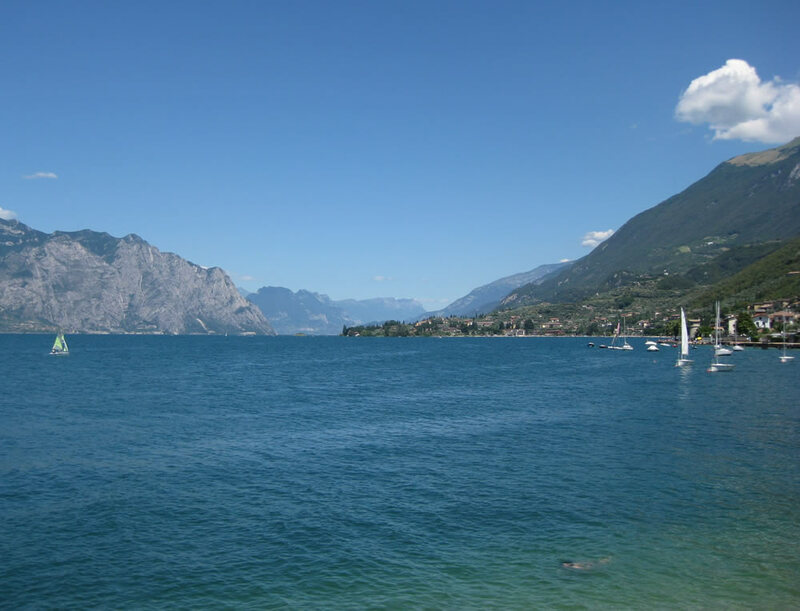 In the inland you can find pretty nice moraine hills that surround the lake of Frassino and two villages that are ranked as the most beautiful ones in Italy): "Castellaro Lagusello" and "Borghetto sul Mincio. 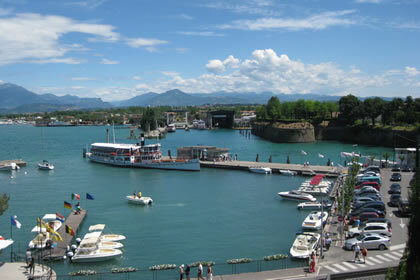 Do not miss to visit the beautiful park of Sigurtà! 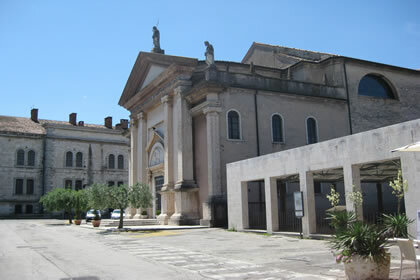 Museum della Palazzina Storica, Roman ruins, forts, Lake Frassino, the Sanctuary of the Madonna del frassino and the church of San Martino. May: anniversary of apparition of Our Lady of the Frassino. From June to September: Sipario Peschiera, theatrical exhibitions. June: international gathering of classic yachts. July: Feast of the Red Cross volunteer. August: grande Alpina big party, music, food and wine event. August: Palio of the walls, Venetian rowing regatta. September: big gala dinner, delicious, music and fireworks. November: Feast of St. Martino (three days of festivities with roasted chestnuts and drink distribution), Palio di S. Martino (Venetian rowing regatta), Great Fire of voltoni (music and fireworks). From December 01 to January 06: underwater crib. 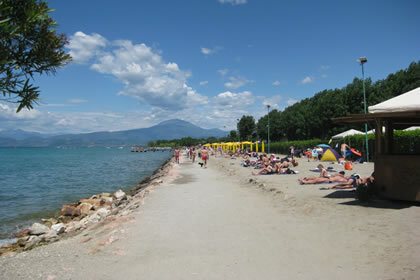 Sailing, canoeing, diving, water skiing, cycling, climbing, north walking, beach volley, riding, tennis, golf.